One often hears the time honored phrase "a boy and his dog." Well, I now coin a new one: "a girl and her white bear." 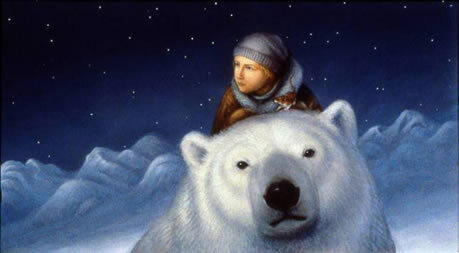 To the left is Lyra Silvertongue riding her armored bear friend Iorek Byrnison (who gave her said last name), from Philip Pullman's unquestioned masterwork the His Dark Materials trilogy. 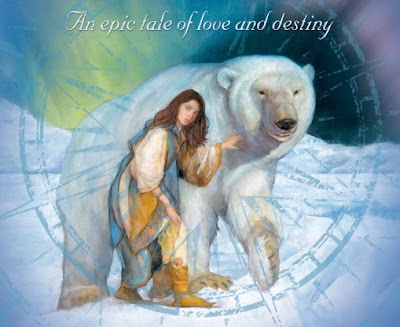 This image is so striking, a girl riding atop an apparent polar bear, that it has for decades been ingrained within the Fantasy genre's psyche; as it should, given the unforgettable story it helps bring to life. 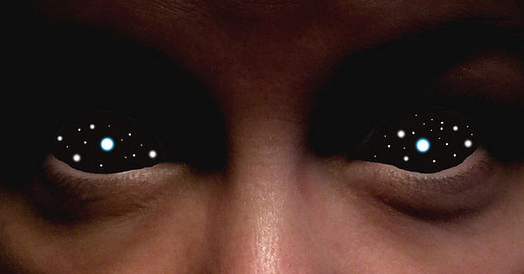 Yet that is also why I was so startled years ago to see the image below as the cover of a book called East by Edith Pattou. Indeed, I instantly called to my Dad over from a few shelves away (we we in a book store) and said, "Mmm, a girl with a polar bear...now where have we seen that before?" He replied in kind, saying that image had certainly been appropriated by Pullman. As a matter of fact we already had the book, but had more or less forgotten it, so seeing it served as both a reminder and sparked my curiosity, though I naturally assumed it must be at least somewhat based of His Dark Materials...at least until I read the back-cover and then, a few years later, when Dad and I both read the read. Pattou's work is, as it turns out, little like Pullman's (save for the love and adventure part), East being an adaptation of an old Norwegian folk tale entitled East of the Sun and West of the Moon. 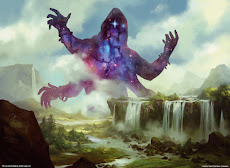 Which is interesting because the Iorek and his kin call themselves "panserbjørn", which is Norwegian and Danish for "armored bear". 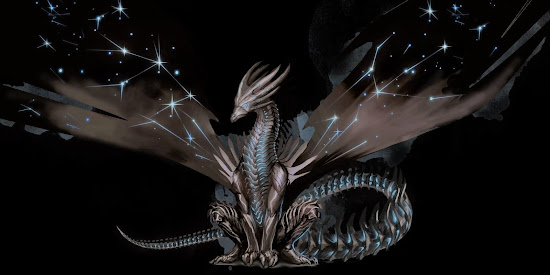 I would thus speculate that His Dark Materials is derived more from old lore than is commonly thought. 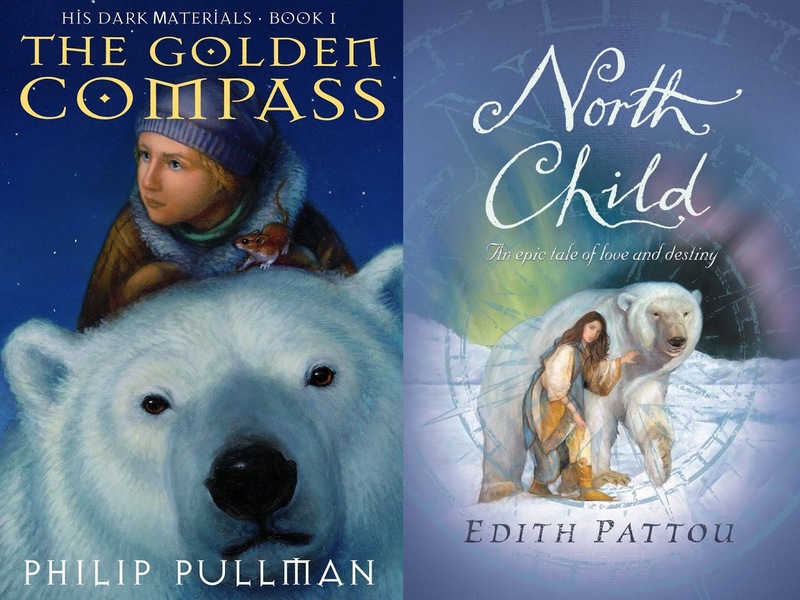 In fact, the proper name for The Golden Compass is Northern Lights, just as North Child is for East. Just as compasses also bear a prominent roll, and a far journey to the distant and mysterious and magical north. And, in both epics tales of loves and destiny, the girl and her white bear grows to share and unbreakable bond.